If there’s one thing that is always going to make football fans throw their toys out of the pram more than usual, it’s usually the release of the 40-man shortlist for European football’s coveted Golden Boy award. The prize, which was established by Italian newspaper Tuttosport in 2003, has previously been won by the likes of Lionel Messi, Sergio Agüero and Paul Pogba. Kylian Mbappé is the current Golden Boy after lifting the award last year, and the Paris Saint-Germain teenager looks nailed on to become the first ever two-time recipient when a winner is decided in December. Most years fans often moan that their favourite player from their club’s Under-17 side didn’t make the shortlist, but things are a little different this time around. Here’s a list of nine promising and established young players, born in 1998 or later, that we here at 90min can’t believe didn’t make the 40-man shortlist for the Golden Boy award 2018. 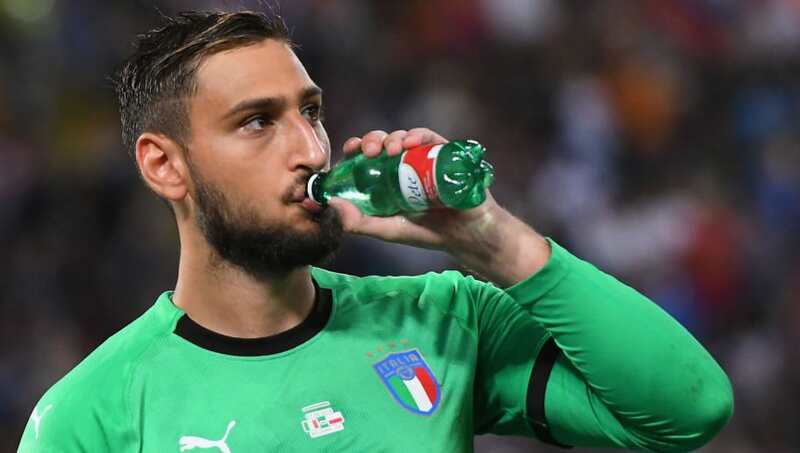 Italy international Gianluigi Donnarumma, the heir to Gianluigi Buffon’s throne for the Azzurri, was left off the final shortlist for the Golden Boy award. While goalkeepers aren’t exempt from nomination – Fiorentina’s Alban Lafont made the grade – there has never been a shot-stopper to lift the award, something which is made all the more surprising given how long Donnarumma has been touted as the next big thing. Okay, this might be a bit of a stretch, but you try to explain how Midtjylland loanee Evander has been nominated ahead of Declan Rice. We’ll wait. 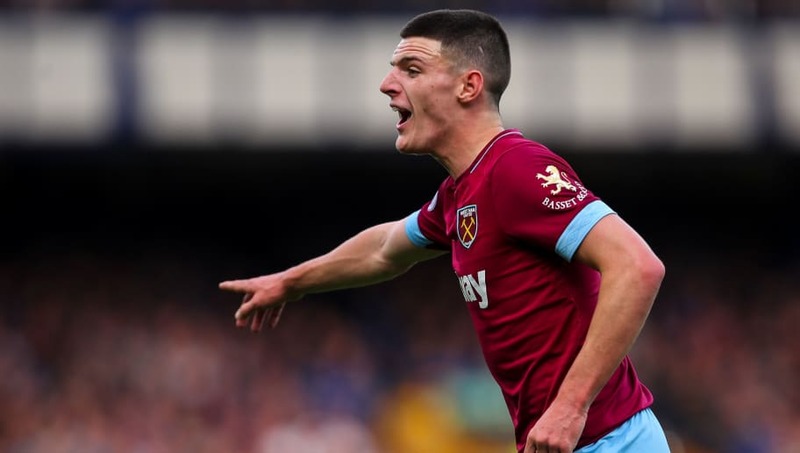 West Ham fans haven’t had too much to shout about in recent years but the emergence of Rice has offered some welcomed relief from problems both on and off the pitch. He came through the ranks as a defender, but this season supporters are already seeing how Rice could be used a midfielder after the 19-year-old impressed so much in games against Everton, Chelsea and Manchester United in that position. The three-cap Ireland international also looks in line for an England call-up after moving to switch his international allegiance. One thing that the Golden Boy award does offer is a chance for fans across the content to take a closer look at some of Europe’s best talents who have largely gone under the radar. For some reason, however, CSKA Moskow’s Fyodor Chalov didn’t make the final cut. The 20-year-old has an outstanding record in the Russian Premier League. This season, Chalov is topping the goalscoring charts with seven goals in just 10 games. And before the trusted ‘farmers league’ tag is thrown out there, Chalov already has a significantly better goals per minute ratio (124) than what Samuel Eto’o (185) managed in two seasons at Anzhi Makhachkala. Arsenal winger Reiss Nelson is already making a name for himself in north London, and fans are euphoric that their famed academy is finally producing top class talent once again. The 18-year-old has been tearing up the youth divisions in England for years and this season he joined German side TSG Hoffenheim on loan in the hopes of getting more regular first team football. 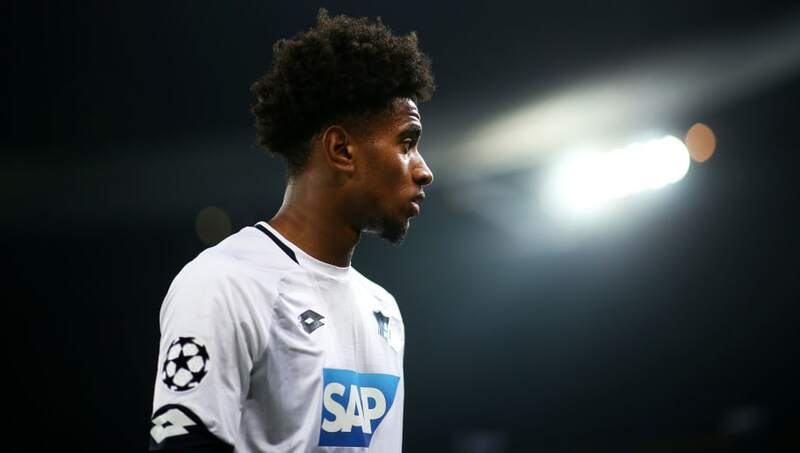 Nelson wasted no time in making a name for himself in Sinsheim, scoring the first goal of his senior career with his first ever shot in the Bundesliga on his debut for Die Kraichgauer. 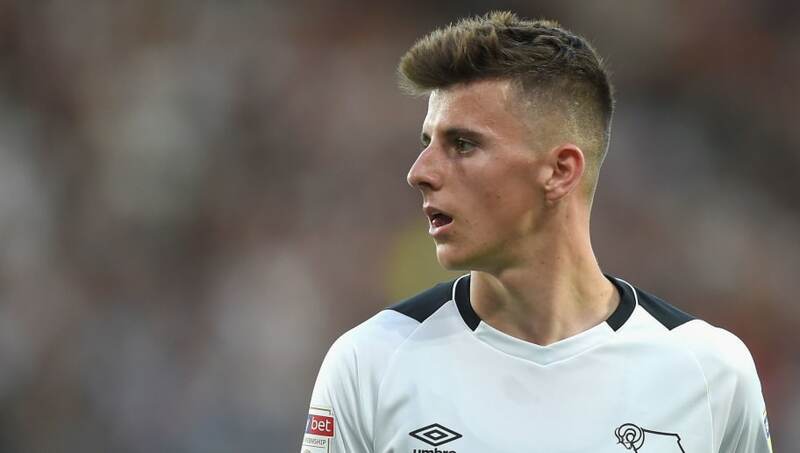 From one loanee to another, Derby County midfielder Mason Mount looks set to break the mould at Chelsea by actually finding a way into their first time after graduating from the academy. Anyone who keeps an eye on football on the continent will know that Mount was one of the best players in the Eredivisie last season. The 19-year-old scored 13 goals and claimed 10 assists across all competitions for Vitesse Arnhem. The teenager is showing no signs of slowing down either. Despite only joining Derby County during the summer, Mount has already been directly involved in six goals in just 14 games. Benfica star Gedson Fernandes is following right in the footsteps of former Golden Boy winner, Renato Sanches. Comparisons between the two players don’t stop there either, with the 19-year-old showing off some very similar traits to the Euro 2016 winner. He is already a regular fixture in Benfica’s first team, and Fernandes is among a host of talented youngsters that are coming through the ranks in Lisbon, alongside the likes of João Félix, Rúben Dias and Andrija Živkovi?. Things can only get better for Fernandes and a move to one of European football’s major leagues is surely on the cards for some time in the next few years. If confusion as to why Jadon Sancho was left off this list didn’t raise enough eyebrows at the time, his inclusion in England’s most recent senior squad certainly left fans questioning just how the teenager was overlooked for the Golden Boy award. The former Manchester City star upped sticks in 2017 and braved a move to Germany. Although moving far and wide for opportunities is nothing new for the Londoner, Sancho’s high-profile switch appears to have opened a door for other youngsters to walk through. 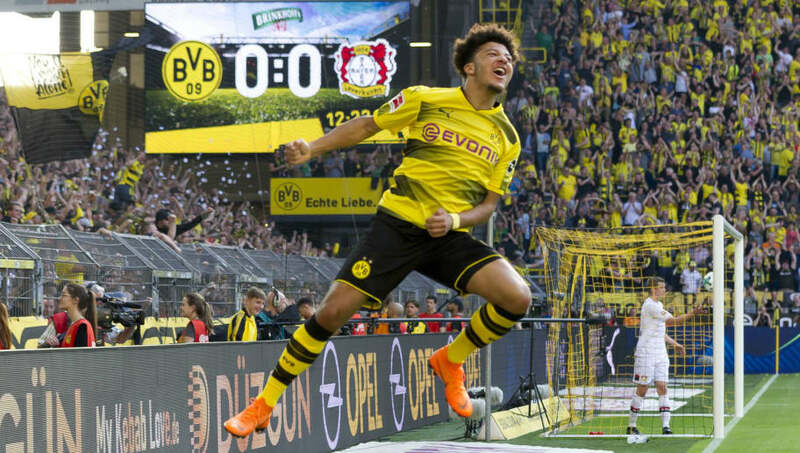 Sancho is currently leading the way in Europe with the most assists across the top five leagues, something that’s made all the more impressive considering that he’s just played 214 minutes of football this season. One of the biggest names left off of the shortlist for this award was Bayer Leverkusen midfielder Kai Havertz. The 19-year-old has already established himself as one of the best playmakers in the Bundesliga. 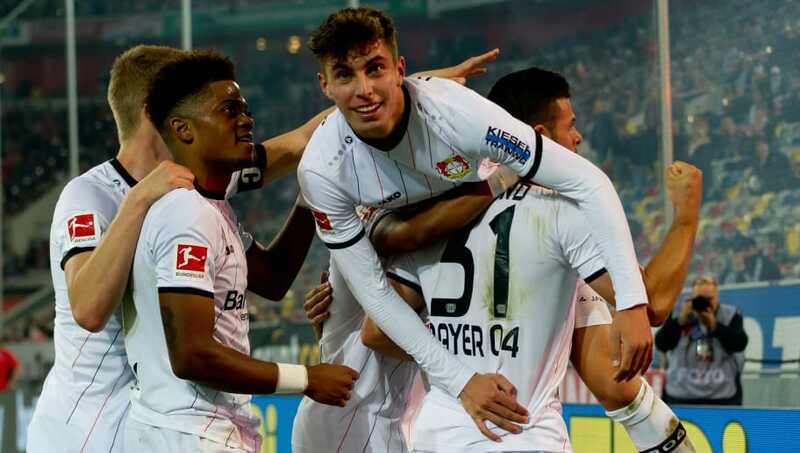 After making his debut back in 2016, Havertz has been directly involved in 30 goals across all competitions for Leverkusen. He has also been called up to Joachim Löw senior Germany squad in recent months, fulfilling his tag as Mesut Özil’s successor with Die Mannschaft. Despite being predominantly left footed, clubs up and down the footballing ladder in Germany are already well aware of Havertz’s danger in an around the penalty area from either side, and he is now an indispensable part of Heiko Herrlich’s team. 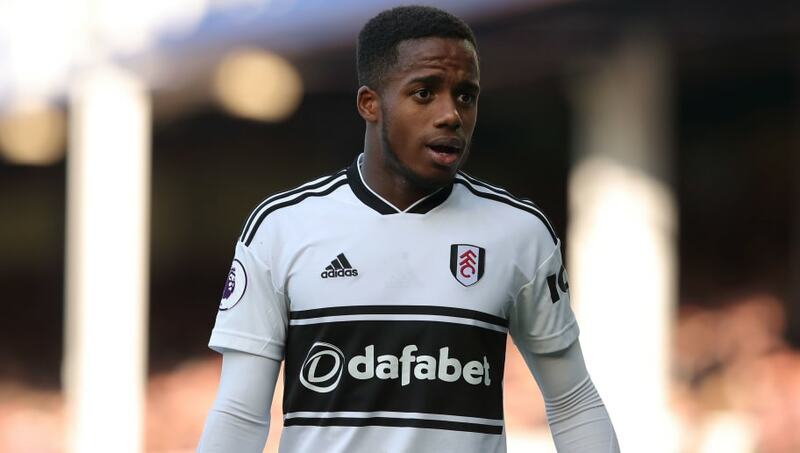 Promotion to the Premier League has seen Ryan Sessegnon’s stock in the transfer market go through the roof, with sides like Bayern Munich and Real Madrid now being linked with the Fulham starlet. Having started out his career as a left beck, Sessegnon has slowly been pushed further up the pitch as the years have gone on due to his eye for goal, so much so that the 18-year-old was involved in 24 goals last season alone. Sessegnon’s national team call-up appears to be just around the corner, and it is now just a matter of time until the versatile teenager is snapped up by one of the continents big spenders.